WordPress includes a CMS (Content Management System) and lets you focus on the content of your site. 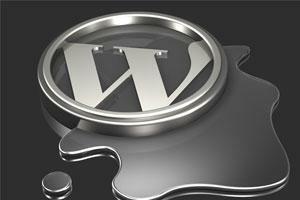 WordPress uses simplified publishing tools comparable to a word processing application. WordPress users may install and switch between themes. Themes allow users to change the look and functionality of a WordPress website without altering the structure of the site.Plugins are a popular feature of WordPress that enable users and developers to add functionality beyond the core installation. WordPress has many features that make it SEO (Search Engine Optimization) friendly. Yet with all these features you may still want to add a more personal touch to your website. If you own a business you may want a customized theme that brings attention to your brand. Website designers and developers can breath a sigh of relief, their skills are still relevant. Contact CINTACS if your website needs have outgrown the functionality of WordPress or if you want a customized theme tailored to fit your business model.